Vladimir Tarasenko | Clarksville Sports Network - Clarksville Tennessee's most trusted source for sports, including Austin Peay State University. 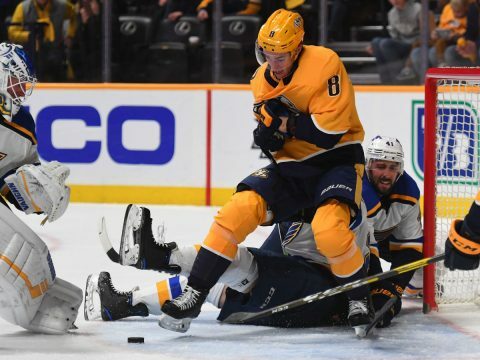 St. Louis, Mo– A frustrating night for the Nashville Predators as they completed the second game of a back-to-back series, falling to the St. Louis Blues, 2-0. The Predators had NO offense against the Blues tonight, but still had a chance to win the game behind the amazing goaltending of Juuse Saros, who was a human punching bag for St. Louis. The Blues outshot the Predators, 44-19. 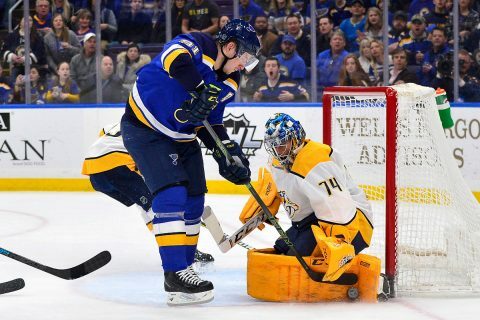 In what could be a first round matchup in the Stanley Cup playoffs, the Predators failed to beat the Blues during the regular season with tonight’s loss. 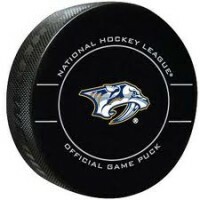 Nashville, Tn — The Nashville Predators dropped the second game of a back-to-back series to the St. Louis Blues today, 5-4. The only good thing about the game was their ability to come back to earn a point. 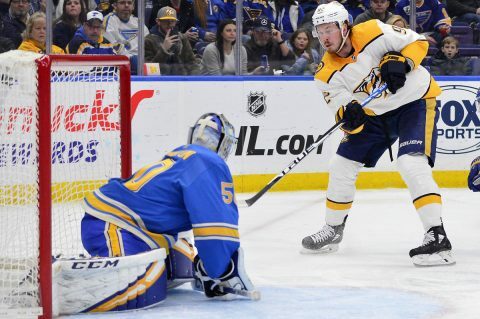 St. Louis, Mo– The Nashville Predators fell to the St. Louis Blues this afternoon in game one of a back-to-back series with the Blues, 3-2. St. Louis used a constant offensive attack all afternoon to keep Nashville at bay. Vince Dunn got the scoring started for St. Louis at 4:37 of the opening frame by taking his own rebound off his initial shot and tucking it into the net past Pekka Rinne, who despite the loss, had a phenomenal game. St. Louis took the early 1-0 lead.